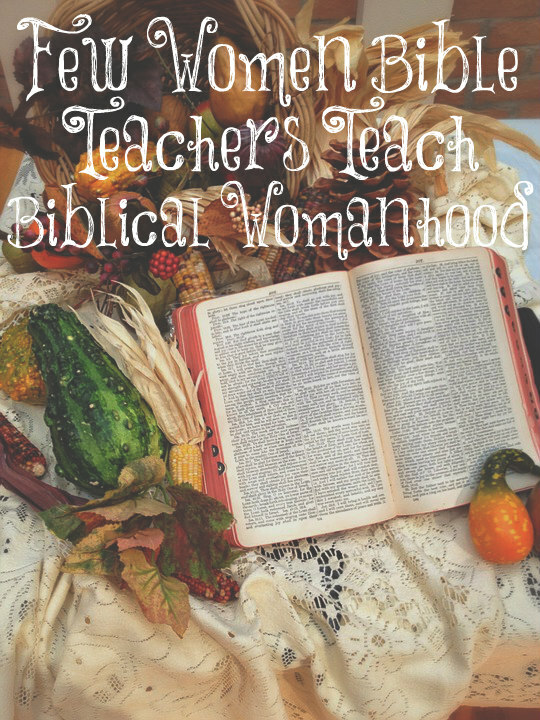 There are many female Bible teachers and/or preachers these days and most of them do not teach biblical womanhood. I have a problem with this and I will try to clearly explain why. What are older women to be known for in the Bible? Teaching biblical doctrine to other women? Let’s see…concerning older widows, they should be known for these things: “Well reported of for good works; if she have brought up children, if she have lodged strangers, if she have washed the saints’ feet, if she have diligently followed every good work” (1 Timothy 5:10). There’s nothing in this verses about women teaching women the Bible. No, it’s all about women loving and serving others. How about this verse about older women? “The aged women likewise that they be in behavior as becometh holiness, not false accusers, not given to much wine, teachers of good things” (Titus 2:3). Then the next two verses go on to specify what “good things” the older women are to teach the young women but there’s nothing about teaching the Bible nor older women commanding the young women to teach the Bible. In Ephesians 5:26, we are told that husbands are to wash their wives with the Word. In 1 Corinthians 14:34, 35, we are told that women are to be “silent in the churches” and “”not permitted unto them to speak” and “it’s a shame for women to speak in the church” and “if they will learn any thing, let them ask their husbands at home.” Right before these verses, Paul wrote this: “For God is not the author of confusion, but of peace, as in all churches of the saints.” He is writing to “ALL churches of the saints” NOT just to this one church as many claim today. I can’t find one Bible verse in the entire Bible that commands that women teach the Bible to other women or even any examples of women in the Bible who were teaching other women the Bible. Can you? I firmly believe that women should be reading, studying, meditating upon, and memorizing scripture for themselves and teaching their children. This is biblical but I hold to the conviction that God ordained men to teach the bulk of the Word of God and older women to teach biblical womanhood. I can’t find anything that contradicts this in His Word. A man made this comment on my Facebook page the other day: “Why aren’t they’re more women like you teaching Biblical Womanhood? Feminism has devastated marriages and families. And men, though we have our issues as well, get blamed for all of it.” Imagine if in every church, there were classes given by older women for younger women where young women could ask older women questions and older women would teach the younger ones about having a good marriage, what submission to a husband looks like, raising children, being keepers at home, homemaking skills, being quiet in the churches, modesty, learning to have meek and quiet spirits, etc. These older women would be available to these younger women on a continuing basis. Don’t you think the Church, families, and marriages would be SO much stronger, more salty, and a brighter light to an evil world if all of the women “Bible” teachers were teaching these things instead of what they’re teaching? 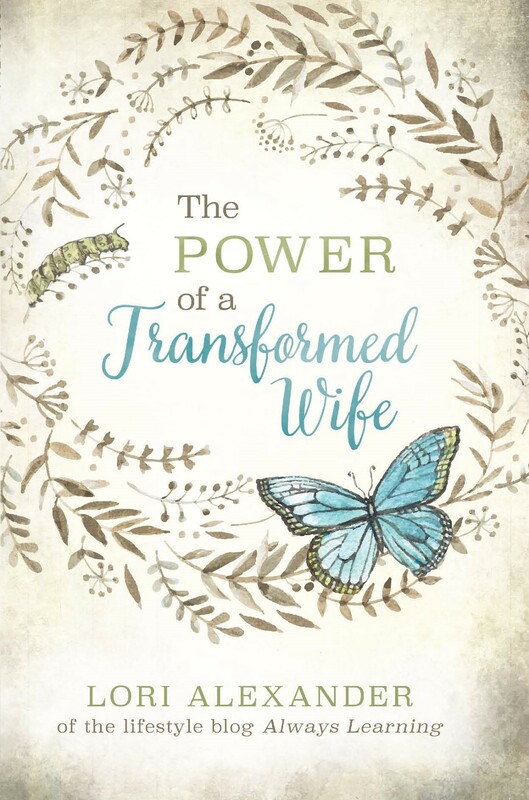 There are plenty of women teaching the Bible but few who are teaching biblical womanhood, and marriages, families, and children are suffering as a result. We have plenty of godly men preaching and teaching the Word of God. Now, if only more women began to teach women what God has commanded they teach. Radical feminism and liberalism is more popular, and many are too weak to stand their ground regardless of faith. It’s all about what is popular and easy to virtue signal versus having TRUE virtue, which requires sacrifice and hardship oftentimes. In this instant gratification, participation trophy culture, standing by one’s principles is not the easy way out that many want! The traditional values of family and society are now easily neglected for what the new zeitgeist of the day is, to be popular and fit in and virtue signal to others how “righteous” you are! It’s not surprising then why churches throw off what is taught to them in the actual Bible, as the rest f society throws off its virtues when convenient these days! It is no surprise that women who seek to preach do not teach Godly Womanhood, when the very act of preaching is sinful for a Godly woman ! As you say women should be at home teaching their children and setting their daughters a Godly example, older women should help younger women and girls to follow Christ. But women should not preach that is the role of men. John Bunyan’s “A Case of Conscience Resolved” addresses, quite thoroughly, what would pass today for a women’s conference, prayer-palooza, or whatever. We sure would have a different looking Church if each church had the older godly women teaching the younger women exactly what God asks them to teach. It should be a required class for all who seek membership that the men are taught how to be a loving and understanding husband and the wives how to be a loving submissive wife. Our churches have let the Church down badly in this area because most churches shy away from these passages. When the Church first saw that feminism was making inroads and the divorce rate was skyrocketing that it should have taken some of the energy and focus spent on youth and directed it to marriage done God’s way. After all, winning the youth most often results when Christian couples display the love, leadership and submission of Christ to their children. Come on Church and wake up and start investing in marriages the right way by getting the older godly men and women who have had successful marriages teaching on Biblical marriage, womanhood and Christian family life. Not these human based Conflict Resolution seminars, but a Biblical real message on marriage and Christian life just as is given in God’s Word. Whether a man’s marriage is “successful” or not is almost entirely decided by the character and virtue of his wife. The man in 1 Peter 3:1 who does not obey the word of God, has a far better marriage than I. His wife does not talk back, is loyal to him, and fears him. (which is a healthy and productive thing, that results in obedience and attraction) Women were created to be reverent helpers and mates for their own husbands. If a wife does that well, her husband is blessed with an enjoyable marriage, no matter what else may be, and regardless of whether or not he is doing right to his wife, or whether she enjoys her situation. That being said, the men who are happiest with their marriages, are mainly that way because of their virtuous wives’ submission. Many of them naively think that dealing with a wife is super easy, because it has been for them. And they imagine that husbands with difficult wives, are just godless idiots who are screwing up their own marriages. They most often accuse husbands with difficult wives of every possible fault, in an attempt to blame them for the poorer treatment they receive from their wife. In the mouth of the foolish is a rod of pride. (Proverbs 14:3a) They drive longsuffering men with difficult wives from the church with their wicked and disrespectful unfounded accusations against their character. They become the accuser of their brethren. (that’s Satan’s role) However, that is contrary to how God says marriage works. Proverbs 14:1 The wise woman builds her house, But the foolish tears it down with her own hands. God says a foolish woman tears her own house down. Her husband didn’t command her to tear him down, she does it against his wishes and leading. God did not hold Adam responsible for eve’s rebellion, but for obeying her even though he knew it was wrong. If the Churches would oppose Feminism unashamedly with God’s word, and stop disrespecting married men, who were created in the likeness of God. (James 3:9) At least within the church there would be a place you could go to get support for Biblical marriage. I have yet to have a pastor really preach Ephesians 5:24 Therefore as the church is subject unto Christ, so let the wives be to their own husbands in every thing. My wife needs to be held accountable to that verse, but the hireling cowards that run the churches will not back me up, or preach that. They’re ashamed of God’s word! Women, whatever thing you and your husband are fighting over, disagreeing on, or have any disunity over, submit to him in that matter, and every other matter. If somehow you are still fighting, disagreeing, or ununited about something, submit in that thing too. (You don’t need some Feminist fool to teach you how to fight fair as a couple. You should know never to fight at all with your own God appointed head.) If you will follow God’s advice, you just had your last fight, you will chose to never be disagreeable, and you will always chose to be united and on your husband’s side in everything as the Bible tells you to do. There! God just put a simple end to all disharmony, contention, and disagreements in your marriage, if you will obey Him. If you won’t, then you are still being a fool and tearing down your own house. Don’t be a fool, fear God and flee from your former evil. Repent of all your fighting. You are wrong to be fighting with your husband. Marriage is a depiction of a relationship with Christ. And your husband was made in the likeness of God. You are to submit to him as unto the Lord, whom he was made a likeness of. If you do not submit to your husband, you are not submitted to the Lord. If you want to see how submitted a woman is to Christ, you only need to look at how she submits to her husband. Go and sin no more. “I am against My shepherds” says the Lord of Host, and I think denying the proper roles in marriage is their biggest offense. All understanding of practical living out the Word first comes through marriage and the family, and if you destroy that, all else will follow in destruction …as is happening. I’ve decided never to sign up for any of the women’s Bible studies at our church as they are never about Biblical womanhood. They always studies books of the Bible but they are almost the ” safe” ones. Never the ones that talk about what God says about women. Currently, they are going through the book of Revelation. I think that book should be taught by men as most of the books of the Bible. No, I will never sign up for any of the studies until they do one on Biblical womanhood. I have come to the same conviction, Regina. I went to Women’s Bible studies almost my entire adult life up until a few years ago and never once learned anything about biblical womanhood. Regina, I came to the same conclusion a couple of years ago. The only studies really pertaining to women is about the women in the Bible. And it’s more of a “Look how strong these women are….as strong as men” kind of study, if that makes sense. Once a year, we get a questionnaire about what studies we’d like to see. I always write down Biblical Womanhood/ How we can become a Proverbs 31 wife. No such thing has ever been offered and I’ve never been called about it. Since I only became aware of it a couple of years ago, I don’t feel *wise* enough to lead the study. I bet you would, Debby! You’re way farther along than most women. There is a devotional site called She Reads Truth. It gives a daily devotional written by women for women. I had heard women raving about it and decided to check it out. Not only did I feel uncomfortable about it because women are not supposed to be teaching the Bible, but I find some things to be inaccurate and even a little weird. Needless to say, I didn’t continue to follow that. I do teach a Sunday school class for the very young kids, age 2-5. Another lady teaches the elementary/middle school aged kids but we have a male youth pastor who teaches the teenage class and junior church. My husband (pastor) will not allow a woman to teach an adult class and we don’t do any kind of women’s Bible studies or anything like that. I had a pretty hard time voting in the elections because there were so many women running for so many things in our area, especially judges. I don’t believe in women having any job really, much less a job in a leadership position so I asked my husband what to do. He said that if there are no other options he will vote for a conservative woman over a liberal man, so that’s what I did lol 🙂 my husband is a wonderful example of a Godly leader and preacher. Yes, Kristina, it sounds like you have a very wise husband who is not only leading his family well but his church, too! What a blessing. “I don’t believe in women having any job really, much less a job in a leadership position” – very well said. I have said this for many years. You are the first woman I have known of who agrees woman are only to teach other women Biblical womanhood. I was asked to teach this at my church…..the response was not good in the class. I only taught four classes before I knew it was best to let it go. The anger was uncomfortable. I now just stay home and if the Lord has a woman who would y encouraged by such training He can bring her to me. Such teaching is not usually welcome in today’s society. Pingback: Let’s Talk… The Good God – Let's Talk . . .